Provide comfort for the family of Ronald Bottomley with a meaningful gesture of sympathy. Ron was born July 16, 1972 to Terry and Nancy Bottomley in Wheat Ridge, CO Survived by sister Jeannie Bottomley, brother Rick Andrews, daughter Madilyn Bottomley and many other loving family members. Ron was a simple man who loved motorcycles, music and children. He worked hard, played hard and loved hard. He had a wicked sense of humor and could light up a room the minute he walked in. Ronny was a very loyal friend, had a very generous heart and was completely committed to his sister Jeannie. He loved his daughter "Mad Eye", and his brother Ricky and was his mother's pride and joy. Bubby was an avid football fan. He loved his "Big Blue" and was a loyal Bronco fan. His favorite bands were King Diamond, Rush and Judas Priest. He was a drummer and loved his craft. He was a wonderful cook and loved to barbecue while listening to music with his best friends Brian, Susie and their boys. He had a few famous sayings; While watching little league football he would yell out "let's get some blocks out there" sounding like Sylvester the cat. And; While riding in the car "there goes another Hard Eddie", and "It's my job to mess with you Jeannies"! Me love you Bubkins, you are forever in our hearts! JCHA Staff sent flowers to the family of Ronald Ryan Bottomley. 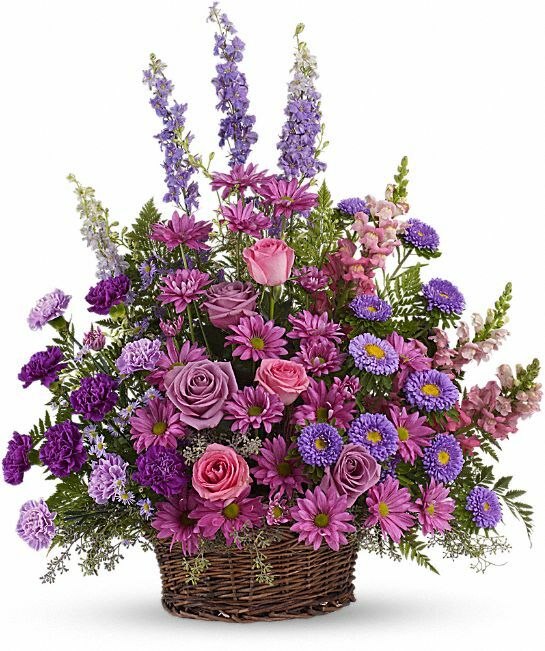 JCHA Staff purchased the Gracious Lavender Basket for the family of Ronald Bottomley.